Strategy is a much-discussed, much-misunderstood topic among managers. 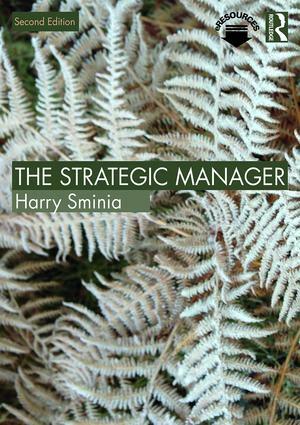 In this new edition of The Strategic Manager, Harry Sminia continues to focus on how strategy works in practice, questioning readers’ existing expectations that strategy is a matter of strategic planning in order to help them to move into practicing strategy as an everyday activity. The book is based around six different strategy theories, individually presented and supplemented with useful lists of questions that encourage readers to become competent strategic thinkers. Bridging theory and practice, a range of real life case studies open a window into the real world of strategic management. Essential reading for postgraduate students and those in executive education, this text will also be a useful tool for managers trying to develop a better understanding of this easily confused subject.